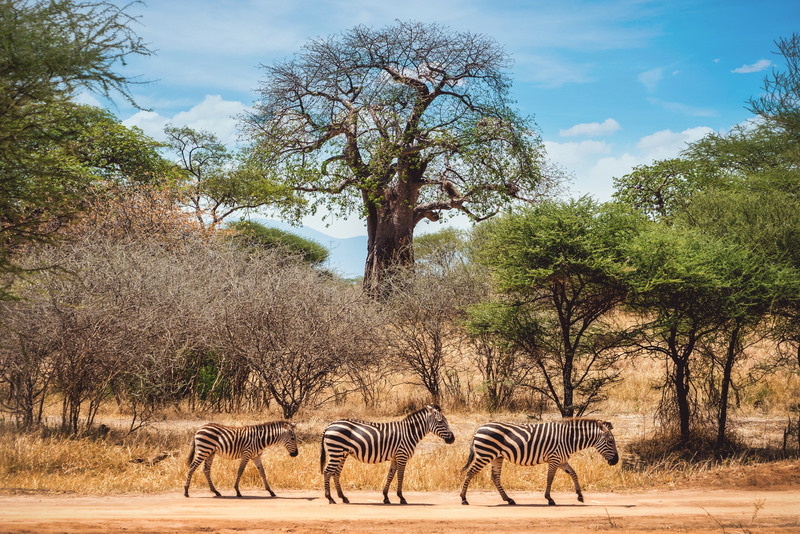 The beautiful baobab tree and the zebra family of the Tarangire National Park..
Tarangire has the most wildlife concentration outside the Serengeti. Dry river beds, Rift Valley wild bushland, lagoons and swamps and savannah are all on display here, home to countless animals. The confluence of several topographies in a relatively small space leads to an impressive amount of biodiversity, with animals typically dwelling in dry bushland rubbing shoulders with typical wetland species. Zebras are nice, but that background tree really makes the image! Ganz toll gesehen und photographiert! !